The 2020 Ford F-150 Harley-Davidson Edition is the second pickup truck from the Blue Oval company inspired by the iconic motorcycle brand. The Harley-Davidson Edition returns after eight years as an appearance package, but it also comes with a few chassis updates. The big difference now, except the fact that it’s based on the latest F-250, is that it’s no longer built by Ford. Instead, the truck is assembled and sold by Tuscany Motor Company. 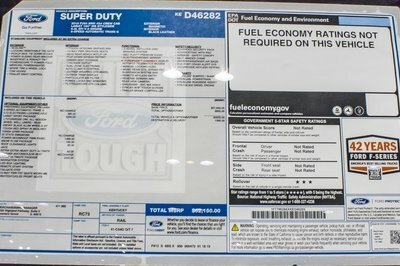 Marketed as an “Official Harley-Davidson truck,” this F-250 features an impressive amount of exclusive features, including a monochromatic paint scheme, loads of “Harley-Davidson” badges and logos, unique wheels, and a bespoke interior. Unlike its predecessor, this Harley-Davidson Edition rides on a special suspension designed by BDS for the motorcycle company. Let’s see what it offers. 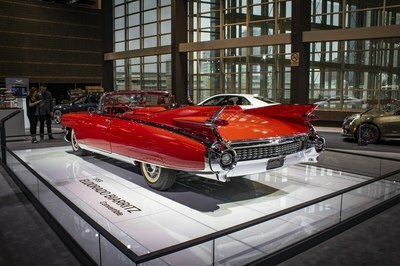 The ’50s were a strange decade: on the one hand, the danger of nuclear annihilation grew bigger and bigger as tensions between East and West reached new peaks and, on the other hand, automotive design also reached new peaks – peaks touched by the ultra-high fins of cars like the 1959 Cadillac Eldorado Biarritz Convertible, a true symbol of its time. When you think of American cars from the ’50s, depending on who you are, you’re bound to first picture in your head one of three cars: the 1957 Chevy Bel Air, the 1955 Ford Thunderbird or the 1959 Eldorado Biarritz Convertible. The latter is most definitely the showboat, figuratively and literally, of a whole design trend; a trend that climaxed with this very car that, in a way, managed to kill off the trend altogether. The trend I’m talking about is of aeronautical inspiration, and it took off (pun intended) in the late ’40s and early ’50s thanks to concept cars like the Buick Le Sabre and a host of other GM Motorama creations. No, those chrome-bathed fins didn’t help the cars corner better nor did they aid the back end in sticking to the ground better – they were just for style, and 1959 was the year of all-out chrome and all-out fins. Some think those cars are everything that’s wrong with American cars, others simply think they’re flamboyant while others still adore them. I guess it’s a matter of personal preference but, undoubtedly, the ’59 Eldorado continues to turn heads 60 years later. 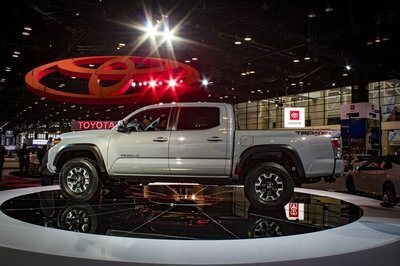 Toyota launched the 2020 Tacoma model at the 2019 Chicago Auto Show. 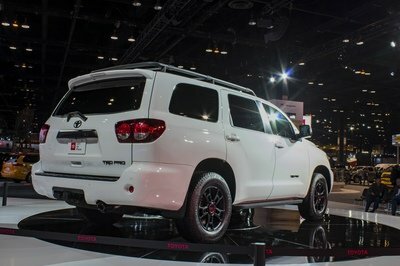 Although its sibling, the Sequoia TRD Pro, stole its thunder at the, one cannot sideline the Tacoma. 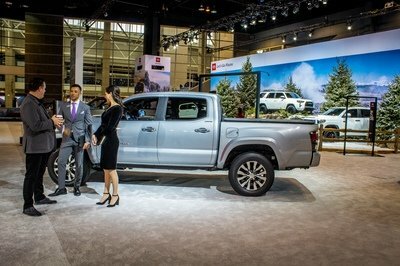 After all, it is the best-selling mid-size pickup truck currently on the market. 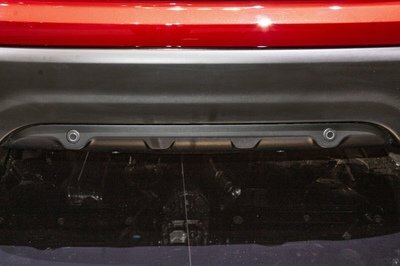 The 2020 Toyota Tacoma does not bring a lot of changes to the table; mechanically or cosmetically. 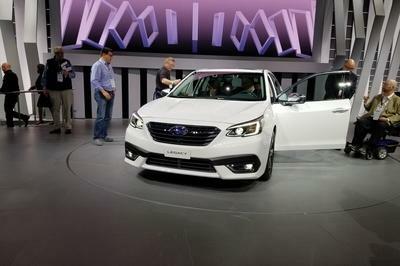 Do you think there is enough to differentiate it from the 2019 model and keep up with the rising competition? 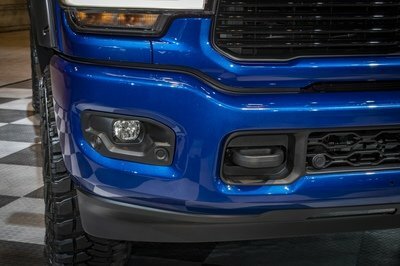 The 2019 Ram 2500 Heavy Duty by Mopar is a concept truck that showcases Mopar’s new line of accessories for FCA’s latest heavy-duty workhorse. 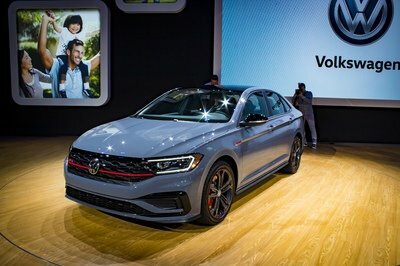 Unveiled at the 2019 Chicago Auto Show, it previews already available and upcoming accessories from this iconic customization brand. The Ram 2500 Heavy Duty is a brand-new truck for the 2020 model year. Unveiled at the 2019 Detroit Auto Show, it arrived just a month ahead of the redesigned Chevrolet Silverado HD and the facelifted Ford F-Series Super Duty. 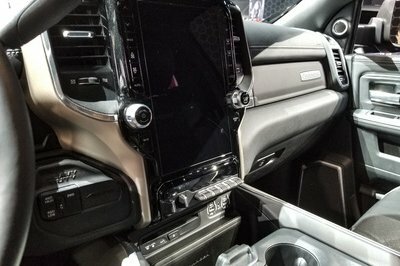 For the time being, the Ram Heavy Duty is the only truck of its kind offered with factory-installed accessories, a valuable advantage until Chevy and Ford roll out their out features. 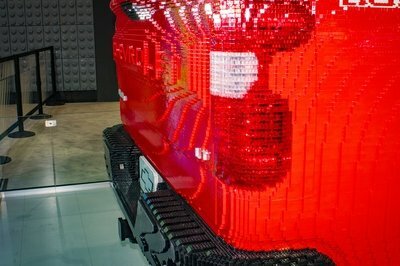 LEGO Group’s Model Shop in Enfield, Connecticut is responsible for the design and assembly of the monstrous LEGO Silverado. It’s made up of 334,544 LEGO pieces and weighs 3,307 pounds. Needless to say, completing this massive 20-foot build took some time and a lot of manpower. In total, 18 builders helped complete the life-sized truck, and more than 2,000 hours were consumed in the endeavor. The LEGO Silverado 1500 LT Trail Boss isn’t just for show, either. It was built in collaboration with Warner Bros. Pictures as part of the latter’s marketing blitz to promote the new LEGO movie, “The LEGO Movie 2: Second Part.” The movie is now in theaters in the U.S. 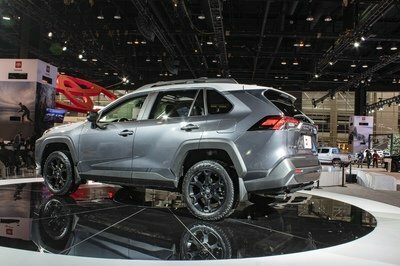 The 2019 Chicago Auto Show’s big debuts are all over and done with, and as we look back at all the new metal that rolled through the McCormick Place convention center this year, we find that some of ‘em nailed it, while others fell flatter than week-old cola. This piece is covering the latter – the lame, the boring, the “what were they thinking?” debuts that left us scratching our heads and furrowing our brows. Per usual, we wanna know what you thought were the worst of the worst, so post your picks in the comments section at the end of this article! Almost a year after debuting at the Easter Jeep Moab Safari, the Jeep Wrangler Nacho Concept made its way east to the 2019 Chicago Auto Show where it once again flexed its muscle for all the world to see. Based on a 2018 Jeep Wrangler Rubicon, the Wrangler Nacho Concept is what happens when a customer goes balls-to-the-wall with Jeep and Mopar’s encyclopedia-like parts catalogs. Everything from aesthetic upgrades to important equipment is represented in the Nacho Concept. 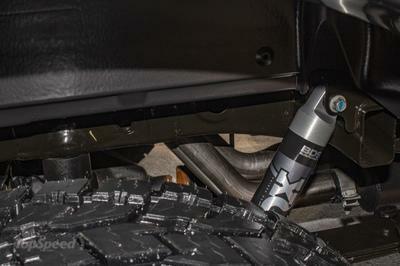 The objective, at least according to Jeep, is to showcase a blueprint for off-roaders to follow, particularly those who are looking to create their own custom trail vehicle. The Jeep Wrangler Nacho Concept is unlikely to hit production, but that shouldn’t stop customers from recreating it on their own or go all-out in creating something that makes the Nacho Jeep look tame by comparison. Could there be a Jeep Wrangler Guacamole in our future? Ok, every time I see a Chevy of this stature from the Fifties, I imagine a massive engine under the bonnet with some insane supercharger, an exhaust sticking out of the fenders or under the side skirts, and a lot of fiery decals. Yup, I am thinking about gassers which are basically a natural opposite to the car we have here – the 1957 Chevrolet Model 150 Squad car from the Chicago Police department. 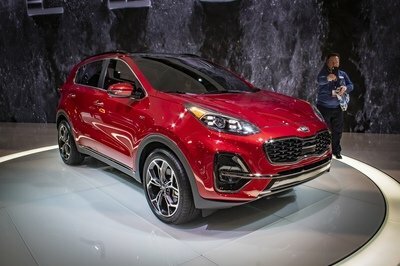 It was proudly exhibited at the 2019 Chicago Auto Show, and it is not its first time to sit under the Chicago Auto Show lights. I found out that it was there in 2017 too. Probably before as well, but I cannot claim perfect knowledge. What I can tell you instead, is the fact that this particular 1957 Chevy Squad car is privately owned by Patrick Tode. He tried to maintain it to the best of his ability for 25 years. Considering it’s a part of an auto show nowadays, it is obviously in great condition. It was not just Mazda which brought an anniversary edition model to Chicago Auto Show.The MX-5 Miata 30th Anniversary Edition might have stolen the limelight, but Chrysler and Dodge have launched anniversary editions of their minivans as well. Perhaps, they went unnoticed because they are humble minivans and not some fancy roadsters. Oh, automotive enthusiasts, thou art mean.